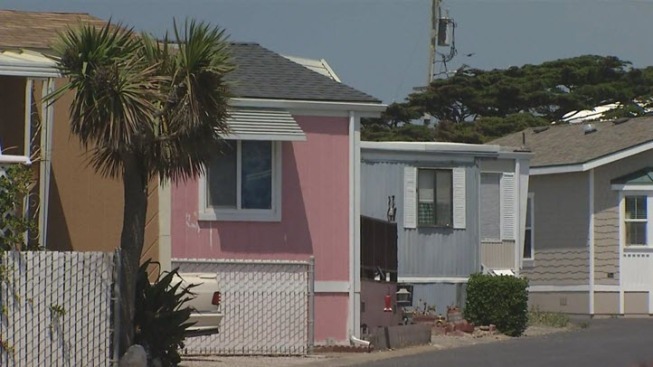 Dozens of mobile home park residents in Pacifica are hoping they will be able to hold onto their homes after an order to move out by the property owner has been rescinded. Residents were told they had to relocate so the property owner can remodel and make needed repairs to the 60-year-old Pacific Skies mobile home park. "I hope we'll be able to stay," resident Monte Giles said. Giles said he never had plans to leave the mobile home park. Now he and his wife are packing their belongings and are waiting to be kicked out of the place they have called home for the last 20 years. "Basically, we'll be lost out with everything," Giles said. Last month, two dozen residents received a 60-day notice to vacate the mobile home park. Pacific Skies spokesperson Carol McDermott said the property needs major renovations, including updating electrical and sewer lines. City officials rescinded the vacate notices following a meeting with the property owners and tenants last week. "The best way to help them was to develop a comprehensive relocation assistance program that we're working on now," McDermott said. Pacific Skies on Tuesday would not elaborate on how much the remodeled mobile homes will cost, but said some increases are expected. "We can't afford it," Giles said. "We're under $2,000 a month." Giles fears even with relocation compensation from the owners, he and his wife will not be able to make ends meet. "Try to live out on the car until we can find another place," Giles said.